I have several posts in the que, none of which are completed yet. So, I thought I’d share some of Ben’s downloads with you in the meantime. This one is fun: Gift Box Icons for OSX complete with a snow scene desktop. 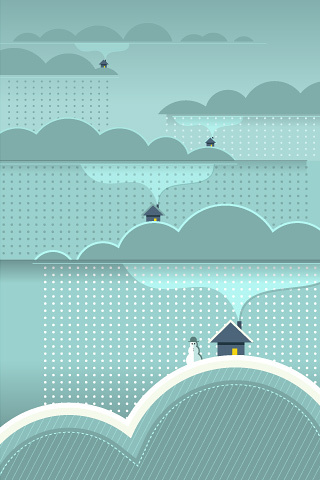 Also, here is his latest holiday illustration as an iPhone wallpaper, created for the Thunder Chunky Xmas Project. Enjoy! Ready for some tips and tricks? I am currently working on an illustrated tutorial of the coptic binding, which I plan to post soon. In the meantime, here are a few great resources for other tutorials and inspirations. My favorite published resource is a book by Keith A. Smith entitled Volume I Non-Adhesive Binding: Books Without Paste or Glue. This guy knows his stuff. Although he has several other books available, I suggest this one to start off with. He begins with the basics, such as what tools to use and how to fold your paper and eventually illustrates several dozen different binding variations. There are many online resources as well. 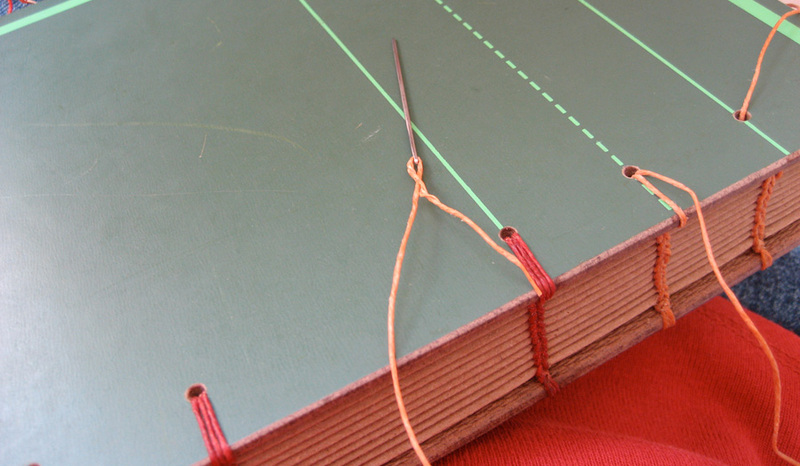 Brian Sawyer has a great collection of bookbinding links here, which include everything from thorough tutorials to inspirations. 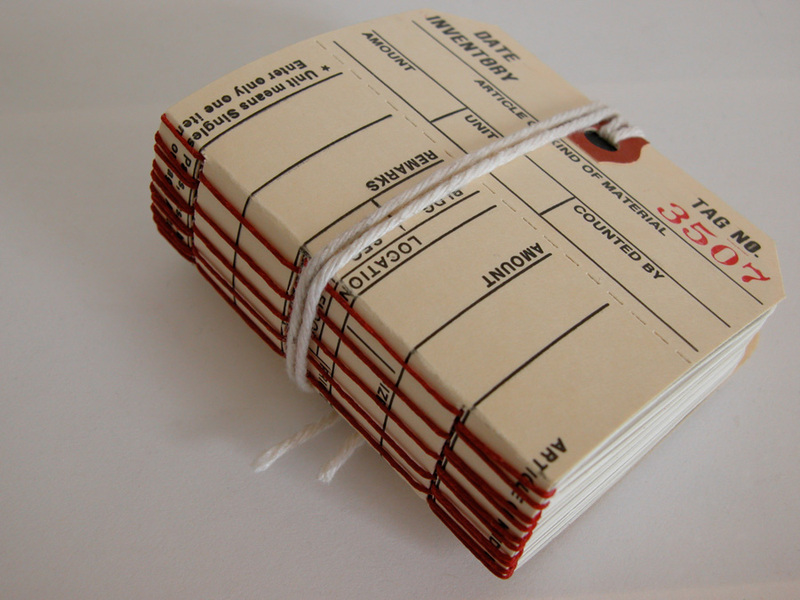 Even more links are available at The Book Arts Web. I also discovered some great information at My Handbound Books. This blog has a selection of tutorials and ideas as well as a fantastic list of resources. 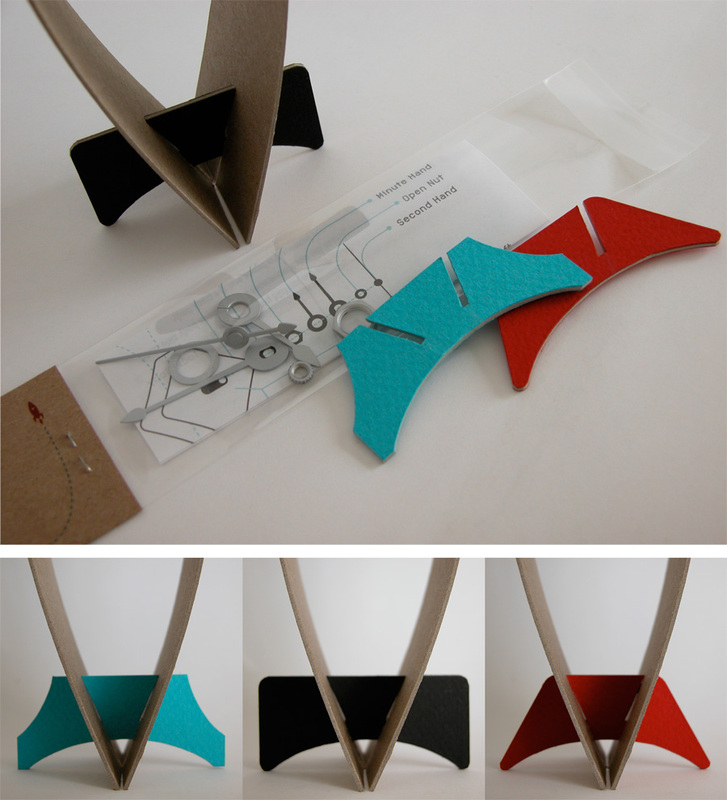 Last but not least, I suggest enrolling in a bookbinding class or workshop. This is often the quickest way to learn. Check out your local paper or art stores as well as local colleges and art centers to see if they offer any classes of this sort. I love the way that this idea developed. While working on cassette tape books, I discovered that I somehow cut a stack of pages way too small. Not about to waste paper (oh no!) I began to scavenge around the studio for something that would make an appropriate cover for a tiny book. I came across a set of vintage inventory tags that I purchased from the Etsy shop, Other People’s Flowers. I had no plans for them at the time of their purchase… just a keen interest in collecting functional paper. Voila! The perfect match for my little mistake. These books are available here. What does this mean? It means that I stayed up too late last night, and I still have many things to do! I first discovered this delicious drink at a Vietnamese restaurant years ago. They called it “Vietnamese Coffee”. My friends called it “liquid cigarettes”. Whatever you call it, it is tasty, and it will wake you up. Start with a layer of sweetened condensed milk in the bottom of a tall glass. How much depends on the strength of the coffee and how sweet you like it… I usually begin with about 1/8 to 1/4 cup. The Vietnamese restaurant used a special little drip pot that sits right on top of the glass. A shot or two of espresso will have the same effect. I used our little Moka Express to make my espresso. 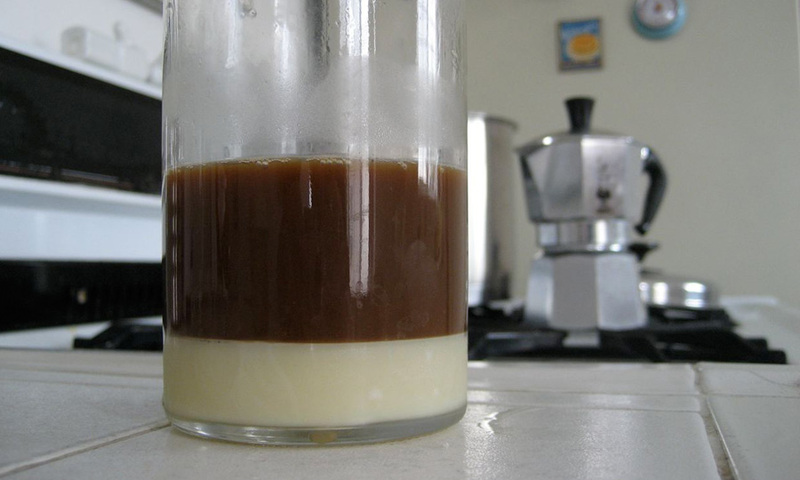 Stir the espresso into the sweetened condensed milk and then add ice… lots of ice. Stir a little bit more and then enjoy! If you’re like me and don’t often indulge in high amounts of caffeine, you will soon be bouncing off of the walls. Today I used favorite fabric scraps and images from vintage magazines to create a series of little buttons/pins to include with books purchased from my Etsy shop. I’m tempted to keep a few of these for myself! 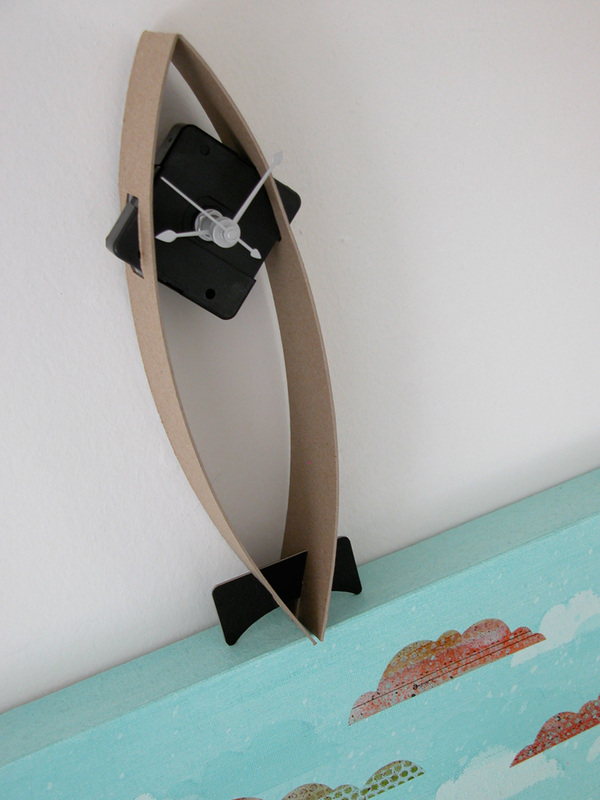 After loads of planning, designing and cutting, I finally have an edition of 100 rocket clocks ready to find new homes via Etsy. I created this design several years ago as part of a class assignment at Fort Hays State University and recently decided to refine and redesign a few parts. I will post more about the entire process soon. 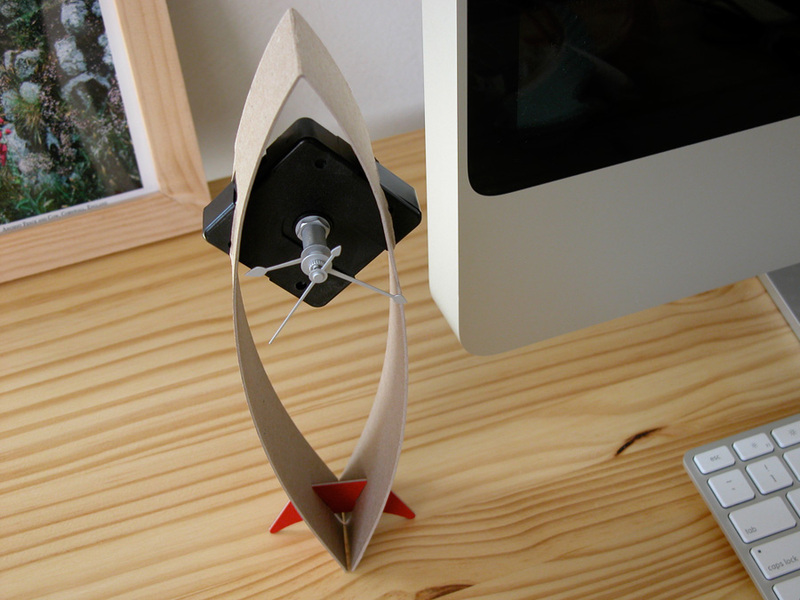 Until then, here are a few images to give you a glimpse of the paper goodness. You are currently browsing the Erinzam News weblog archives for December, 2007.